Our investment in the well-structured warehouse has paid off well. We have successfully installed up-to-the-minute warehouse management software to keep the entire lot in a safe and organized manner. In order to deliver the orders on time, we have backed ourselves with advanced logistics facilities. 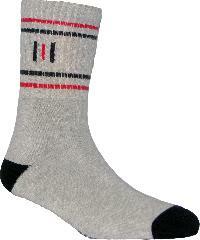 The Long Socks, supplied by us, have attractive motifs, are soft and comfy. 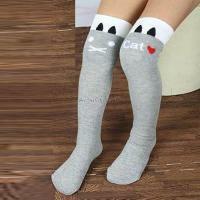 ES Socks Private Limited is a specialized Manufacturer and Supplier of Ladies Long Socks . 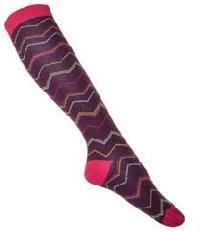 We manufacture Ladies Long Socks with blended fabrics in multiple colors. 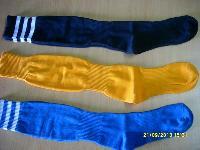 The main colors are yellow, black, grey, blue etc. 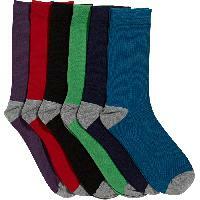 These socks are utterly comfortable, breathable, and eco-friendly. We cater to medium as well as bulk requirements. 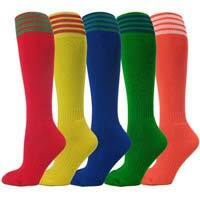 Far-famed for the excellent Long Socks, we are a notable supplier thriving on the customers' trust for a long time now. 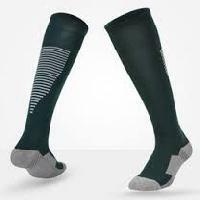 Designed for providing firmer smooth round shape to legs, our Long Socks are skin friendly and available in different lengths. Buyers can place bulk as well as urgent orders with us and we make sure to deliver the same on time. 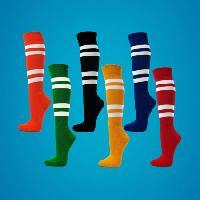 We are manufacturer & exporter of all kind of socks different design, color & size men socks ladies socks girl socks kid socks sport socks for all age people.